Six Mercedes-AMG GT3 racecars will spearhead the Mercedes-AMG presence at the 2019 Liqui-Moly Bathurst 12-Hour Race in what will be the performance and sportscar brand’s biggest entry to date in the endurance classic. The six entries will contest the marquee ‘A’ class and include the Mercedes-AMG Team Vodafone GT3, to be piloted by seven-time V8 Supercars champion Jamie Whincup alongside Shane van Gisbergen and 2018 Bathurst 1000 winner Craig Lowndes, in a joint entry with the highly regarded Triple Eight Race Engineering squad. Other notable drivers to race under the Mercedes-AMG banner will include factory drivers Maro Engel, Thomas Jäger and 2018 DTM Champion Gary Paffett, plus 2017 Bathurst 1000 winner David Reynolds. recommendation from the organisation of any vehicle which went on sale in 2018 to be awarded the coveted five-star crash safety rating. 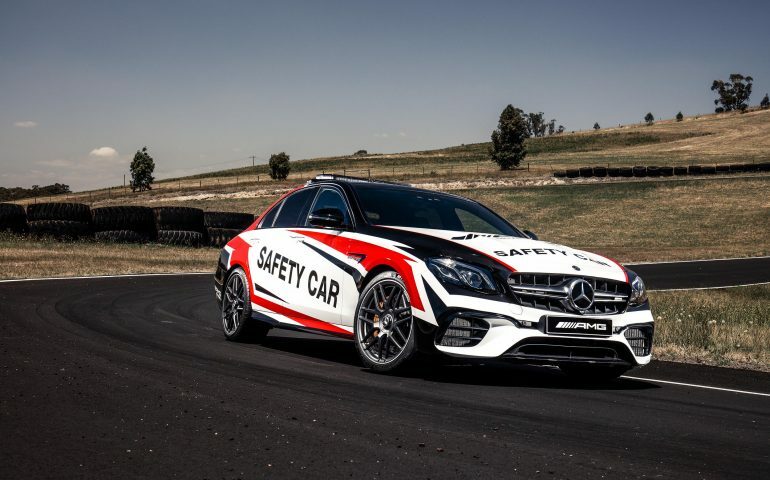 Horst von Sanden, CEO and Managing Director, Mercedes-Benz Cars Australia/Pacific, said the Liqui-Moly Bathurst 12-Hour Race is always a highlight of the company’s calendar. “This year marks the highest number of Mercedes-AMG vehicle entries, accompanied by a strong line-up of local, international and factory drivers,” he said. Fans attending the Bathurst 12-Hour Race will be the first in Australia to see the Mercedes-AMG GT4, a fully-fledged racing car designed for accessible entry to customer racing. The AMG GT4 will be displayed at the AMG Boutique in Harris Park, the Mount Panorama circuit’s entry and retail precinct, along with other coveted models in the Mercedes-AMG family. Race fans will again have the opportunity to purchase official Mercedes-AMG merchandise from the AMG Boutique. Mercedes-AMG will also host 200 customers at its exclusive rooftop lounge at the Hotel Rydges Mount Panorama, which overlooks the famous ‘Chase’ and commands sweeping views of the circuit.